Amazon generates astronomical revenues every day, while your business does not. Therefore, the payment gateway that suits Amazon’s business needs may not suit yours. In short, there’s no such thing as the “best payment gateway,” as what works for one company may not work for another. 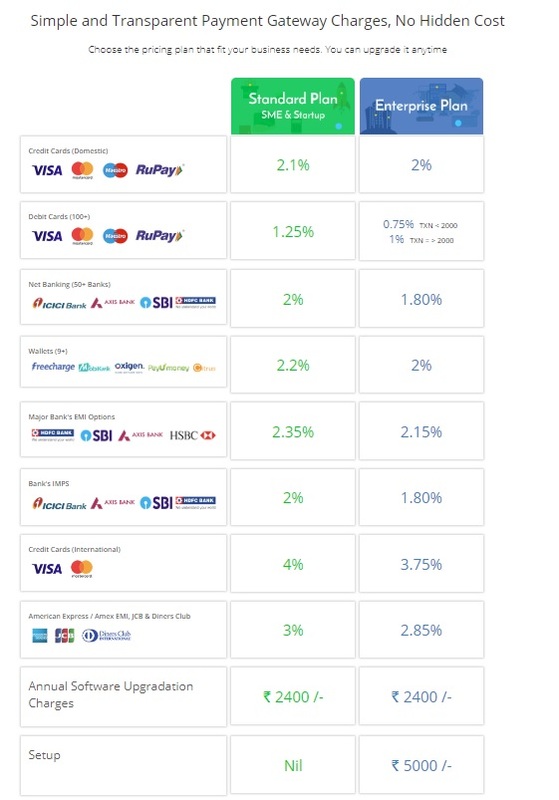 All payment gateway providers in India offer secure transactions, instant refunds, multiple payment options, easy integration, and after-sales support, so the difference in transaction fees may prove to be the deciding factor when choosing one.In this guide, we’ve compared the transaction, annual, and setup fees of the top payment gateway providers in India to help you find the best choices for your business. If your small business in India mainly sells digital products online such as eBooks, music, and videos, then Instamojo is your deal. It hosts your digital content and provides a “Buy Now” button to add to your website. 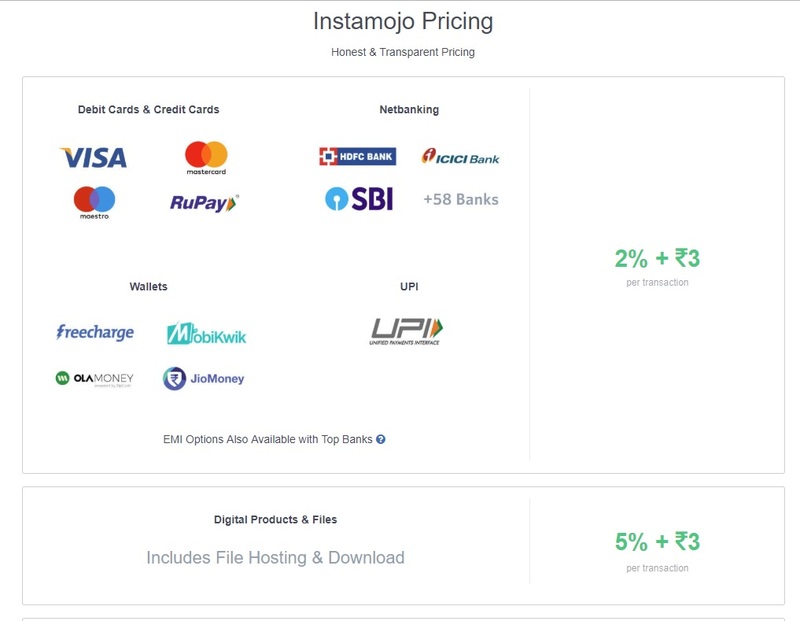 Instamojo is also an excellent choice for Indian businesses selling physical products due to its attractive pricing and zero setup and maintenance fees. It powers over 400,000 businesses in India with the same level of security used by banks. PayU Money is another payment gateway provider for small businesses and startups, powering more than 350,000 businesses in India. 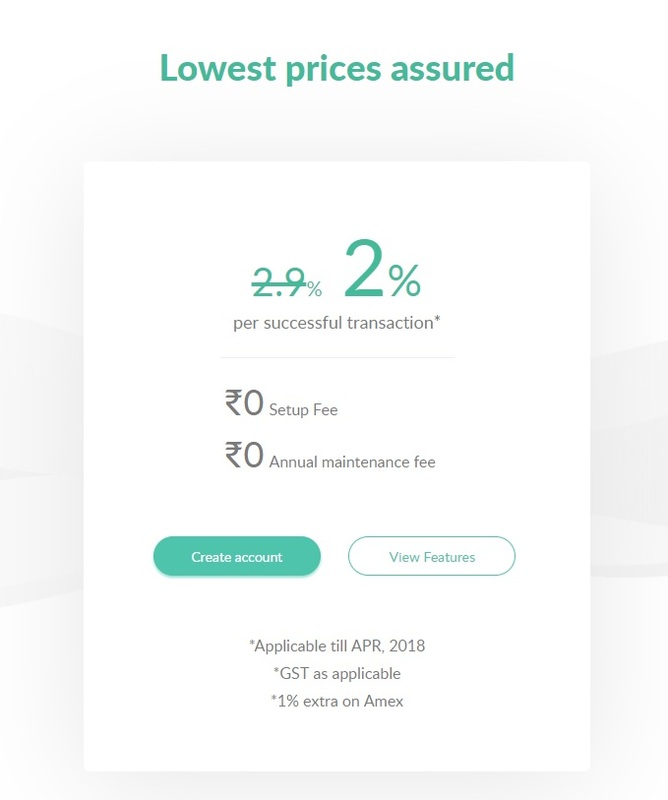 The pricing and features are similar to those of Instamojo, but the settlement period for PayU Money is two days instead of three. Trusted by over 85% of Indian businesses—including MakeMyTrip, Naukri, Myntra, and Snapdeal—CC Avenue is the leading online payment gateway provider in India. CC Avenue charges a Rs. 1200 maintenance fee, but their services are totally worth the price. This gateway accepts payments from eight digital wallets: Paytm, MobiKwik, JioMoney, PayZapp, Jana Cash, FreeCharge, SBI Buddy, and The Mobile Wallet. It also supports major Indian regional languages like Tamil, Marathi, Gujarati, Bengali, and Punjabi. EBS is the first online payment gateway provider in India to comply with the PCI DSS 3.0 security standards, making it the most secure online service provider in India. Similar to Instamojo and PayU Money, EBS also charges a 2% fee on most transactions, but payments through digital wallets incur a 3% fee. Therefore, if you expect a considerable amount of wallet payments, EBS is not the most favourable option. There is also a Rs. 1200 maintenance fee, to be paid annually from the second year since installation. Powering over 100,000 small Indian businesses, Atom is another popular online payment gateway provider in India. 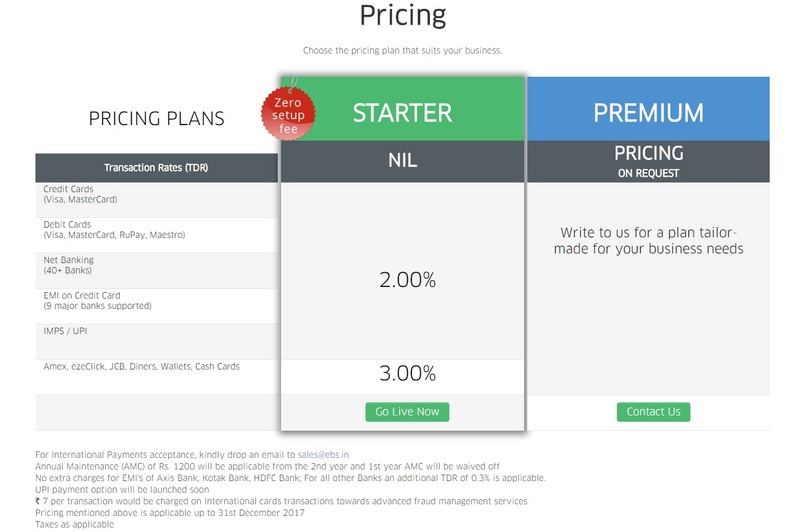 It offers dynamic pricing for each payment channel so you get the best rates for your sales. 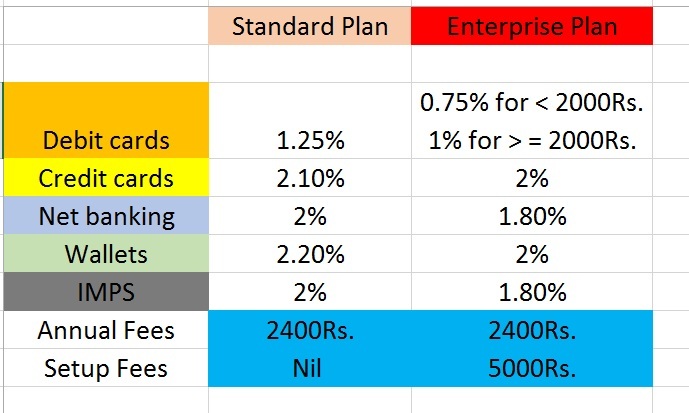 If you have a high volume of sales, the Enterprise plan is the most suitable option. 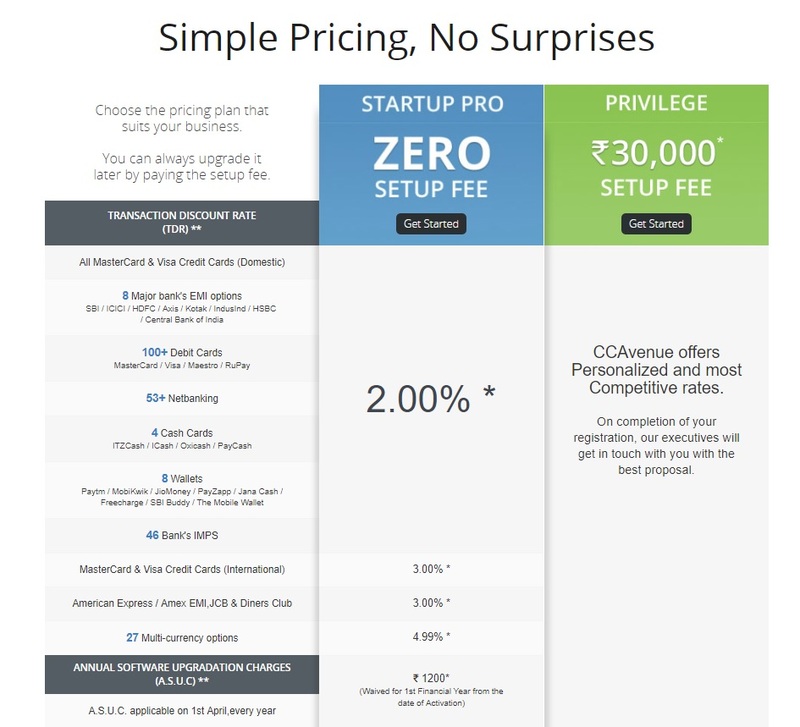 Atom offers competitive pricing compared to Instamojo, PayU Money, EBS, and CC Avenue. 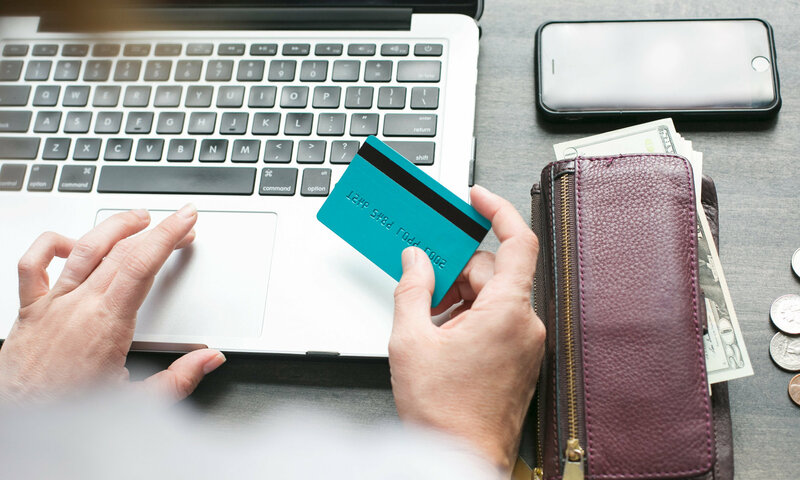 Though it does charge annual and setup fees, the transaction fees for payments with debit cards are considerably lower than through other payment gateways. Ultimately, though, you need to determine whether the benefit of lower debit card fees outweighs the higher annual fee of Rs. 2400. PayPal is a global payment platform, available in 200+ countries across the world. In terms of customer support, reliability, and settlement periods, Paypal is the best online payment gateway provider in India. PayPal accepts all types of payments on any device: phone, laptop, tablet, and storefront. It also offers the fastest and easiest checkout process, creating a better user experience overall. Therefore, customers who choose PayPal have a 44% higher conversion rate. Through PayPal, you can offer PayPal credits to your customers. This gives them the flexibility to pay later, thus increasing your sales over time. Note that even though your customers get more time to pay, you still get paid in full upfront. Famous Indian brands such as BookMyShow, MakeMyTrip, Yatra, FirstCry, Pepperfry, PVR, and FNP accept payments via PayPal. Paypal charges a 2.5% transaction fee, slightly higher than the 2% charged by Instamojo and PayU. However, payments are settled on a daily basis, which is crucial for businesses with higher sales volumes that rely heavily on money rollover. There’s no rule of thumb when it comes to choosing a payment gateway; it’s really a process of trial and error. When starting your online store, Instamojo or PayU Money are safer options as they don’t charge annual or setup fees. 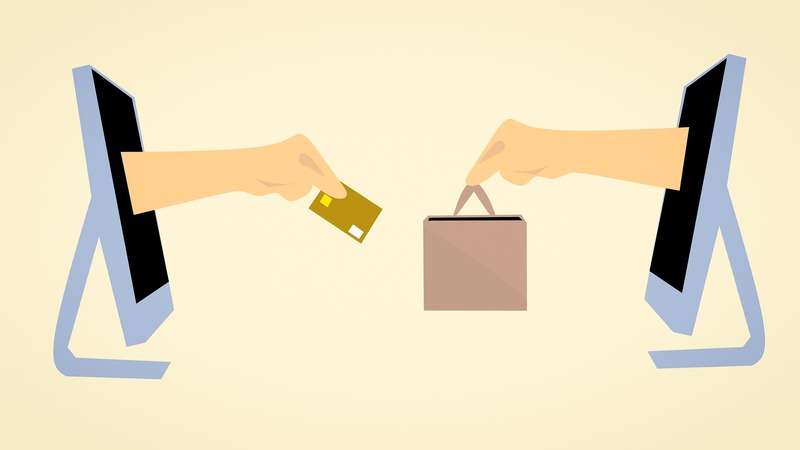 Once you start receiving orders, you will be in a better position to choose the most suitable online payment gateway provider for your small business. You can easily integrate any of these payment gateways with the ShopShastra store. It comes with PayU and PayPal, but plugins are available for the other payment gateways. After installing a gateway, you need to set up an account, which may take around 15 days depending on the speed of the document verification process.